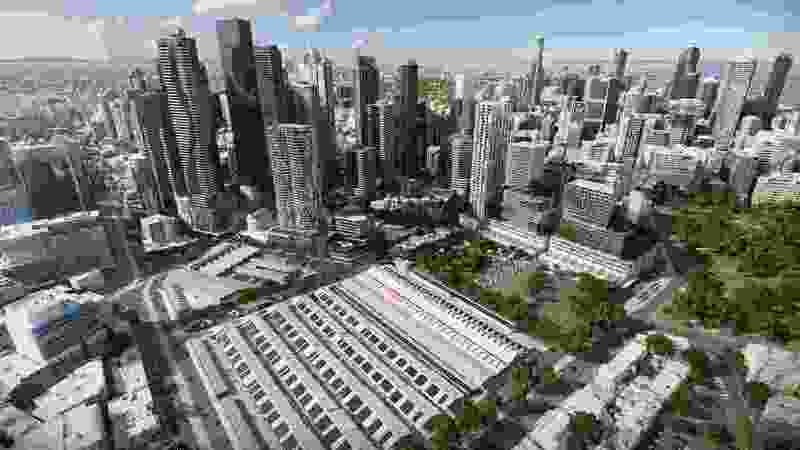 A proposed public square at Queen Victoria Market. 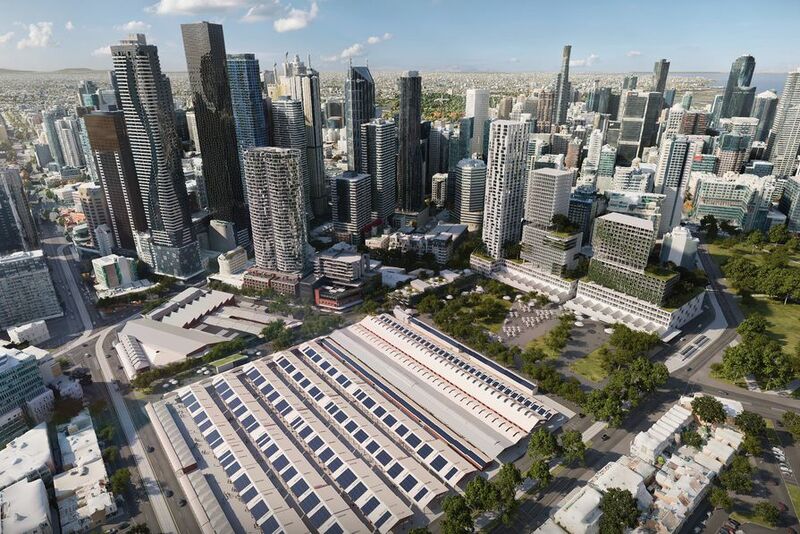 A 1.5-hectare public square would take the place of Queen Victoria Market’s open-air car park under a new proposal for the site’s renewal developed by NH Architecture for the City of Melbourne. The new proposal, to be voted on by council on 2 April, will supersede a previous proposal to construct a three-level basement beneath the heritage-listed market to deliver underground car parking and would instead see 500 car parks provided for customers in the adjacent Munro development by Bates Smart and Six Degrees Architects, now under construction. A further 500 car parks would be delivered in the future development of the area south of the Franklin Street stores, known as the Southern Development site. 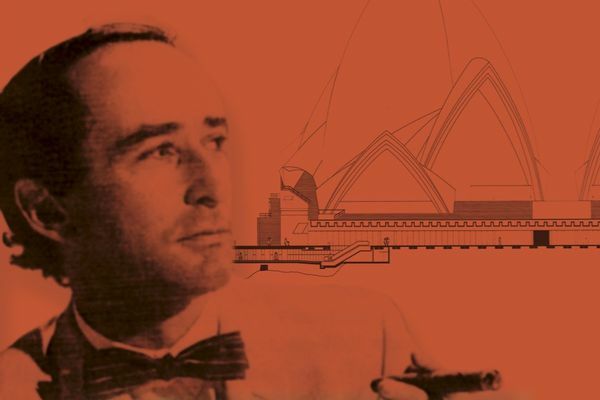 It would also see the enhancement of the public realm in the precinct through improved streetscapes, the progressive development of new open space on the current at-grade car park. 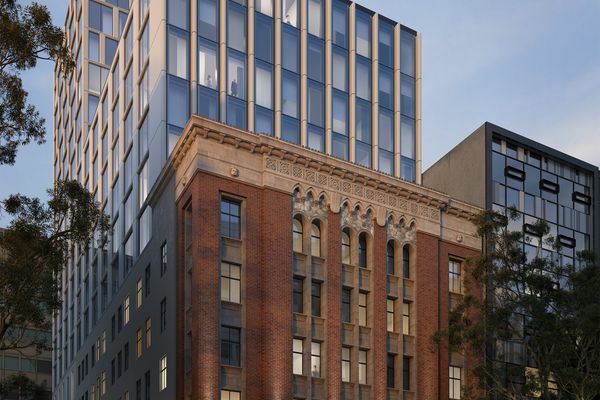 The new plan follows Heritage Victoria’s March 2018 rejection of the City of Melbourne’s proposal to create a three-level basement beneath the western sections of four of the market’s Victorian-era sheds as part of a redevelopment designed by Grimshaw Architects. The proposed ‘Market Square’ public open space would be developed in two stages, following the relocation of car parking from the existing car park to the Munro development in 2021 and to the Southern Development site in 2025. Melbourne mayor Sally Capp said the proposal had been developed with the input of the 40-member “people’s panel,” established in 2018. 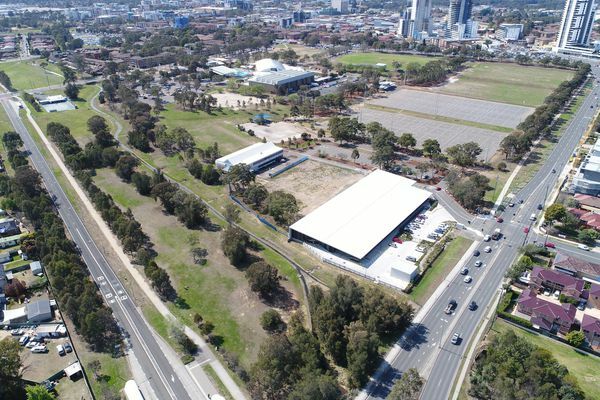 “We’ve worked with traders, shoppers, residents, the Victorian Government, Heritage Victoria and the wider community to build a way forward that will allow us to create a thriving open-air market for generations to come,” she said. 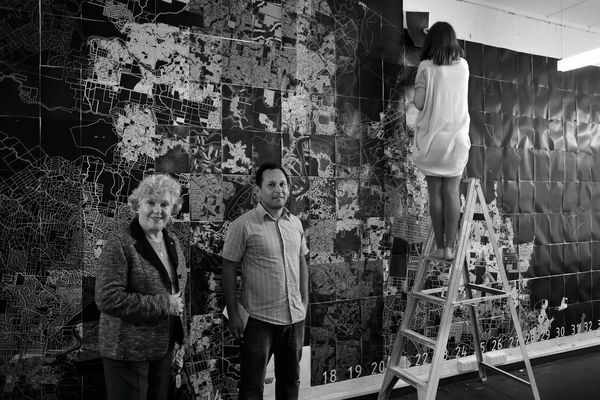 The new proposal has already attracted opposition, however, with Friends of Queen Victoria Market president Mary-Lou Howie telling The Age that removing the at-grade car park would “kill” the market. She also criticized the $6 million plan to provide storage and refrigeration facilities at fruit and vegetable trader’s stalls. “Fixed stalls are not part of traditional market operations, we would lose the sense of an open-air market,” she said. A cost analysis estimated the total cost of delivering the market’s renewal including the preferred option for infrastructure provision would be $287 million gross. Councillors will consider a number of options for the market’s renewal at the Future Melbourne committee on 2 April. The option recommended by the city’s planners would see all new and upgraded facilities delivered above ground, including trader storage and amenities, and centralized waste management and recycling facilities.